Europe Tree is a project designed to create awareness about the principles, which constitute what we know as the European Civilization. 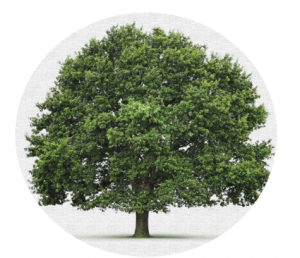 The Tree represents the growth of Europe upon strong and dense roots, with a trunk of principles which are shared by all those branches which open to the diversity of what Europe is today, thus providing shelter and food, and therein life, to all expressions of nature. Europe Tree is a cross-media project designed to run through some of these principles; non-tangible elements, which have been merged and strengthened throughout its history. This narrative is continually questioned but updated. Because Europe is an ever growing tree, that requires to be nurtured with debate, questions and (most important) the contribution of all its citizens. Europe Tree it is to shelter, under its shadow, an open debate to all social levels and making all ages participant, and help build a narrative for generations to come. The essence of Islam is a faith that does not kill, but it heals. A religion that does not separate but unites .The time of Umayyad Caliphate was when East and West merged to give birth to a new stage in the history of mankind. A time when Islam was a source and transmitter of knowledge and wisdom. That’s why we need your support. Umayyad legacy is a common effort to bring the past to life. A determination to recover our collective memory without sectarianism, celebrating a legacy that united humanity. This requires the work of many people . People who commit . Would you like to contribute to this effort ? You want to save our common heritage ? Now is the time when actions and not words are needed!